The Windows enthusiast community is getting really excited because Windows 8 build numbers have passed the 8000 mark. We want to remind everyone that unless evidence shows otherwise, this currently means absolutely nothing. If you were part of the Windows 7 beta testing community, you'll remember that Windows 7 beta was build 7000, the release candidate was build 7100, and the RTM build number was 7600. Microsoft did this on purpose: the company sometimes increases the build number to a rounded set of digits when it reaches a certain milestone. Microsoft may or may not do the same for Windows 8. What we do know for sure is that build 8000 will not be the first beta. It's not clear if Windows 8 is still in the Milestone 3 stage or if it is in the pre-beta stage. It's very possible that Microsoft will artificially inflate the build number to 8100, 8500, or something else for the beta release, but right now we are not there yet. 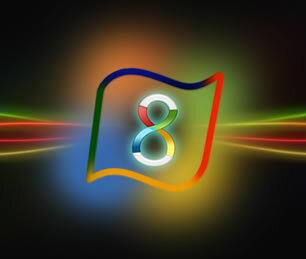 Windows 8 build 7850, the first leaked Windows 8 build, hit the Internet last month. It was quickly followed by Windows 8 Build 7955 a few weeks later. Windows Server 8 build 7959 then leaked earlier this month. If you see a download claiming to be newer than build number 7959, be careful as it is likely bogus and probably contains malware. We may not see new leaks for a while given that Microsoft is rumored to have recently fired two employees for this exact reason.